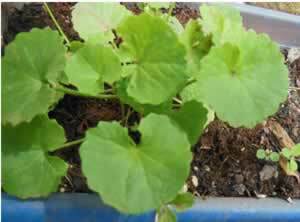 Gotu kola is revered in Ayurvedic medicine for its ability to rejuvenate skin and body tissue by stimulating collagen synthesis. Mixed with aloe gel, it is an excellent treatment for minor burns, sunburns, minor scrapes and abrasions. Recipe Instructions: Balms/Salves :Mix equal parts gotu kola powder with aloe gel and apply to burned area as needed.